Here are some pictures of our latest body kit. 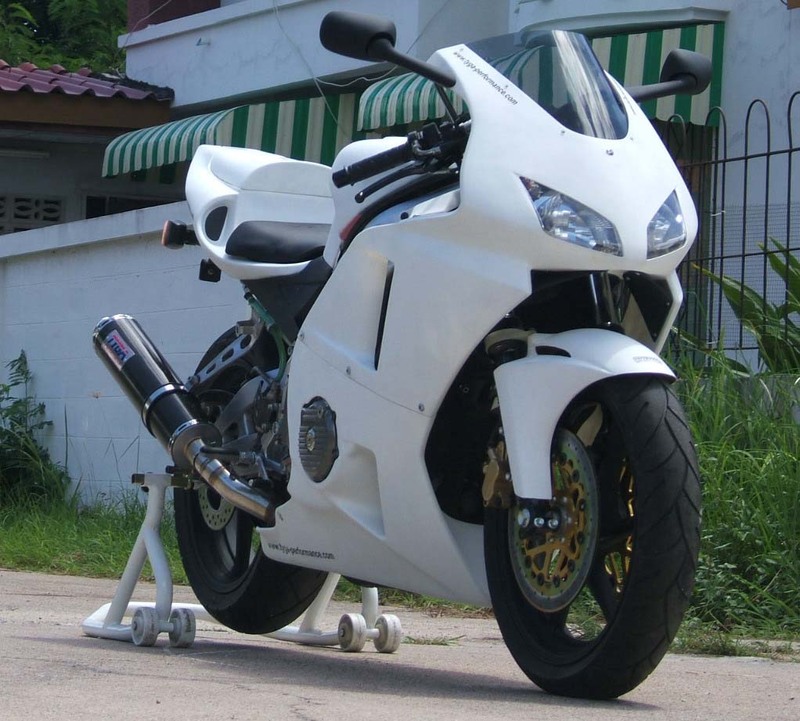 The model is the NC23 CBR400RR which is still a popular model bike in some countries. It was produced between 1988 and 1989 with very minor differences. 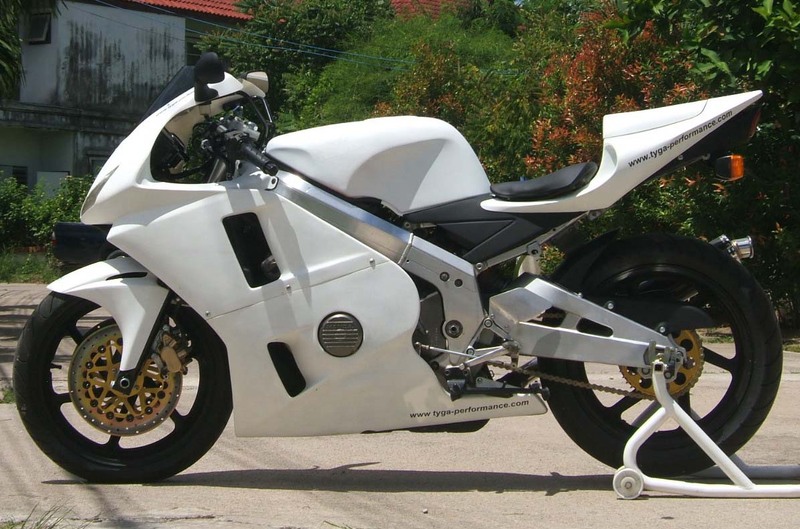 In 1990, the NC29 replaced the NC23 and the two can easily be distinguished because of their frame and swing arm designs. 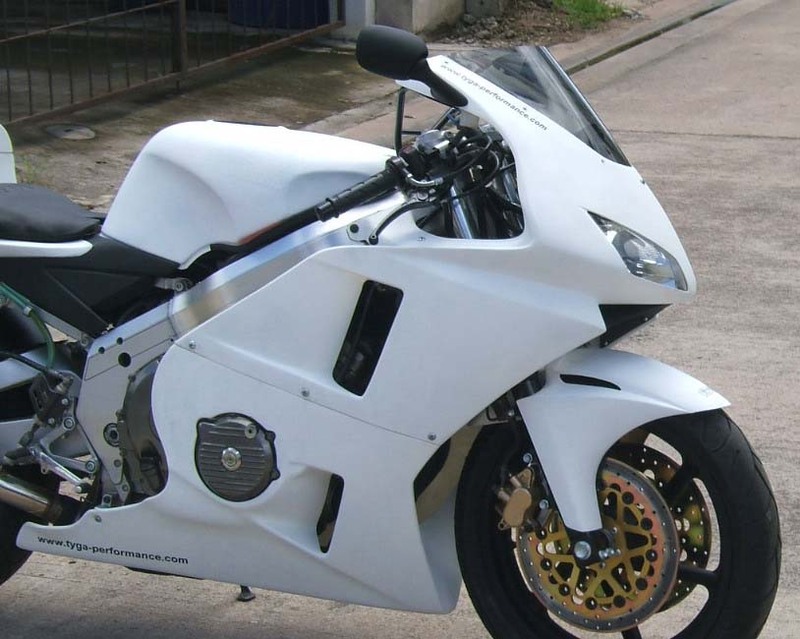 Having seen our body kits for other 400s, many NC23 owners have requested that we make a kit for their bike and even though this model is over 20 years old, the proportions are such that we were able to come up with a design which we hope looks both contemporary but not fussy. 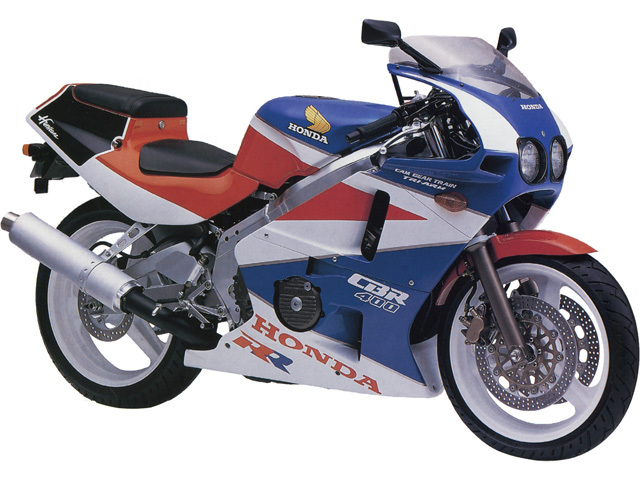 It has design influences from the latest CBR range as well as the RC211V. We also did our best to keep a few cues from the original styling job of 20 years ago. We hope you like it! The kit consists of some familiar looking TYGA Performance components. 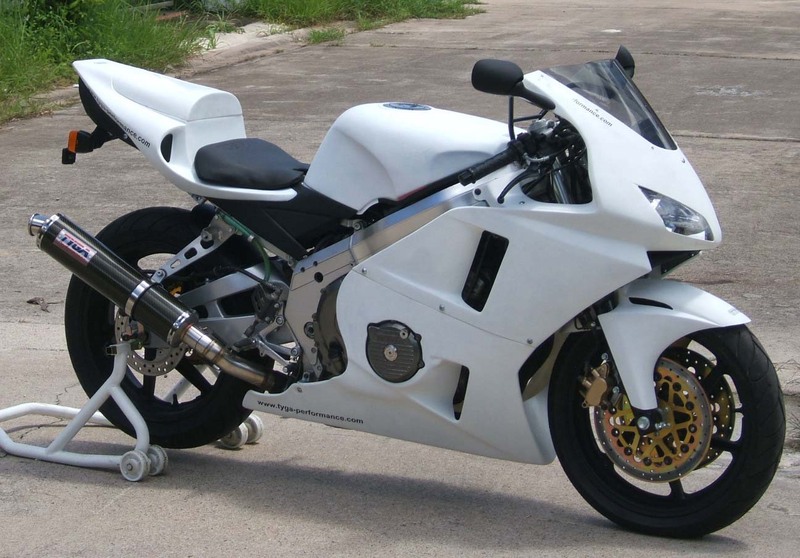 The upper fairing design is closely based on the MC22 T8 upper cowling and varies only in detail to suit the proportions of the bigger 400. 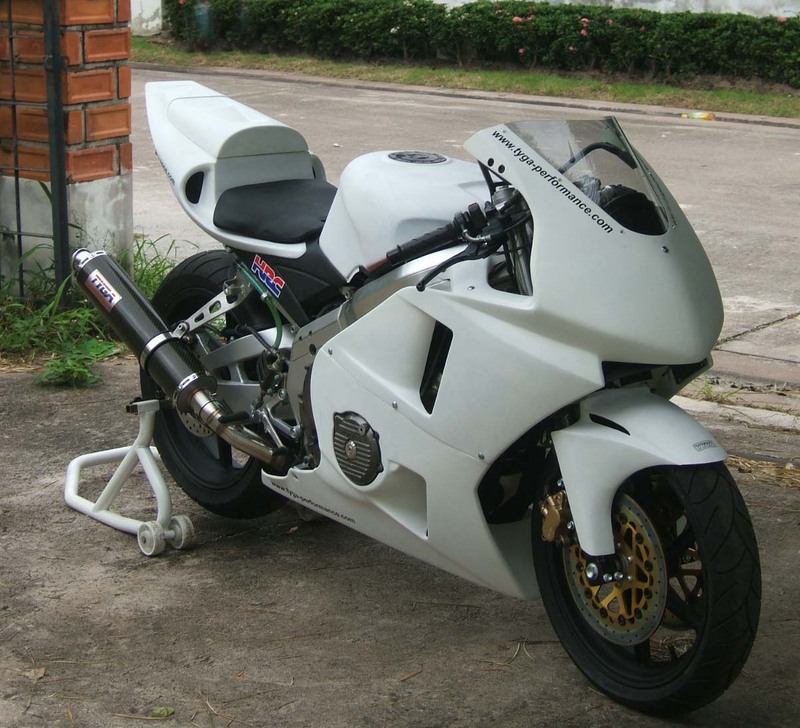 The lower cowling and side vents are closely modelled on the original Honda lowers, however, there have been subtle and important changes to the leading edge and rear sections to make them suit the more aggressive and modern style of the upper cowling. The instruments are supported on the stock Honda meter stay though they are slightly repositioned but the upper stay is replaced by a TYGA one as part of the kit and the original Honda mirrors retained. 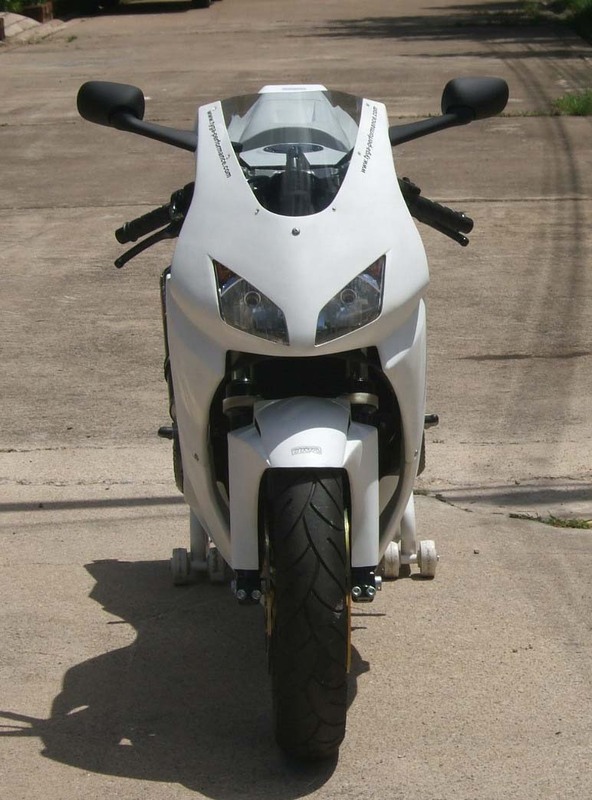 The fairing is supplied with mounting hardware and is easily mounted and removed. 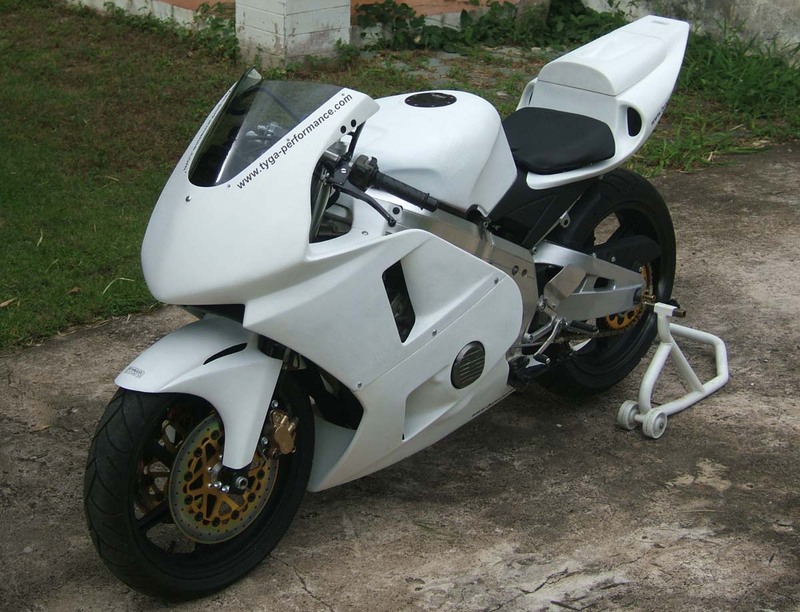 The original air ducts are removed and replaced with a console which attaches to the frame and the fairing to tidy this area of the bike up. The headlight is the now familiar Tyga Eyes III and the screen is a cut down version of the T8 screen used on the MC22. 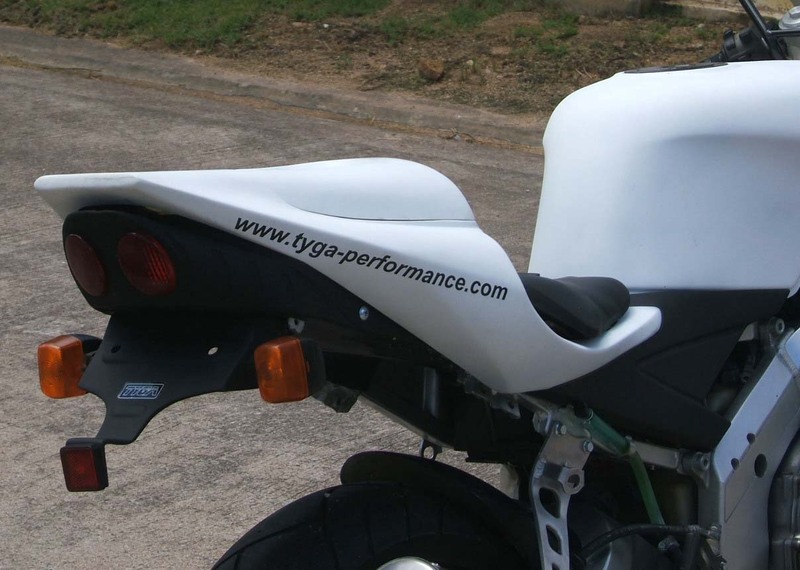 The stock seat cowling is replaced with a TYGA RC211V style unit. However, the stock Honda battery box and subframe remain in place with just repositioning of CDI and regulator/rectifier to allow for fitment of the slimmer seat cowling. 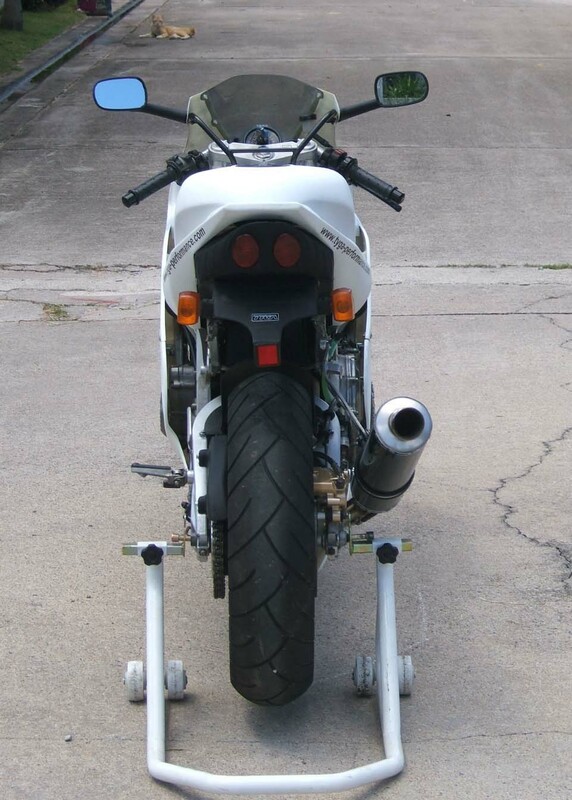 The rear lower section of the subframe is tidied up with a rear fender/luggage tray/tail light unit. 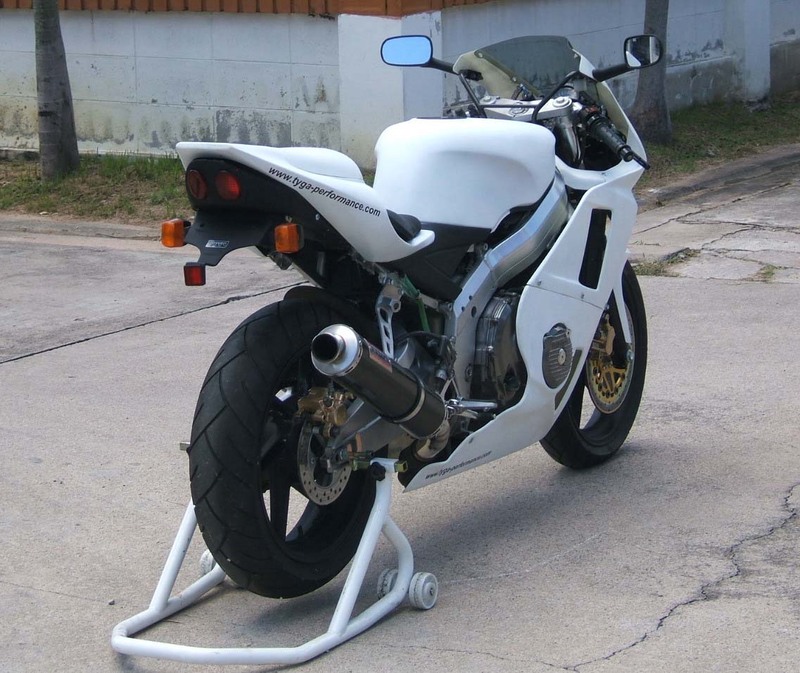 The twin round tail light unit echoes the original NC23 twin tail light unit while at the same time is contemporary in design with modern sports bikes. 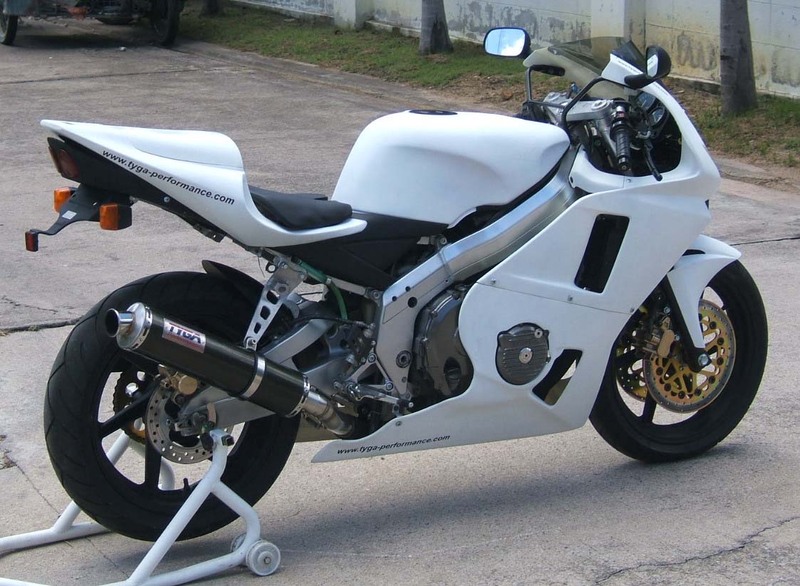 The rear fender has mounting points for the original rear reflector and rear indicators and the front headlight can be supplied with optional built-in indicators. 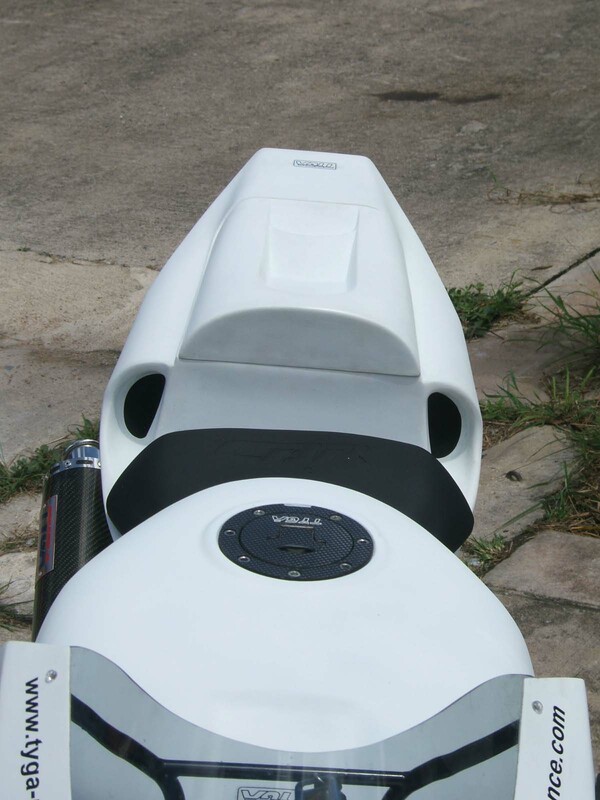 A feature of this seat cowling is the cover of the luggage compartment shown in the photos to give the rear section of the bike cleaner lines. The stock passenger seat pad can be used instead and fitted in seconds and as an option for the kit we will be supplying aluminium foot peg hangers with pegs to replace the now on view fold way steel NC23 ones. Our bike is shown in the pictures for single rider use with no passenger pegs and the passenger seat cover replacing the passenger seat pad. 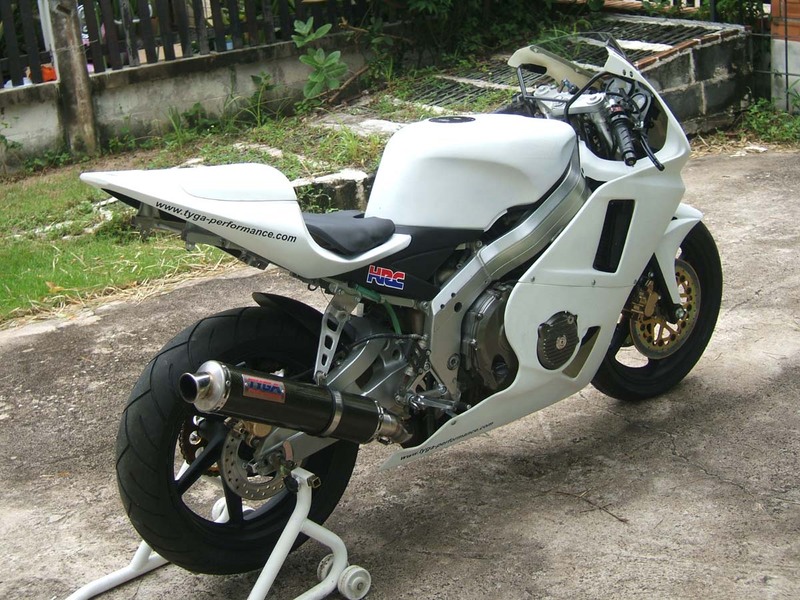 For racers out there, we offer a race fairing and by removing the rear fender/ tail light section it is possible to quickly transform the bike into the makings of a track day weapon. 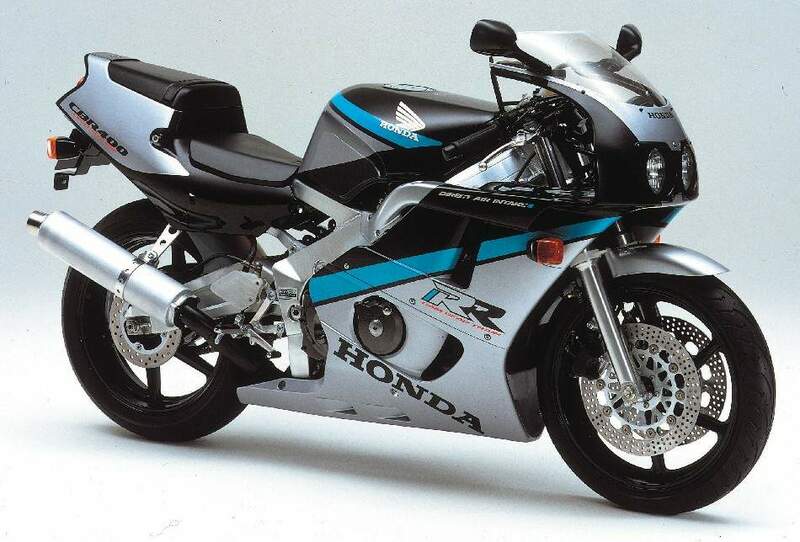 The front fender is our popular RC211V style one and can be ordered in carbon as an optional extra. 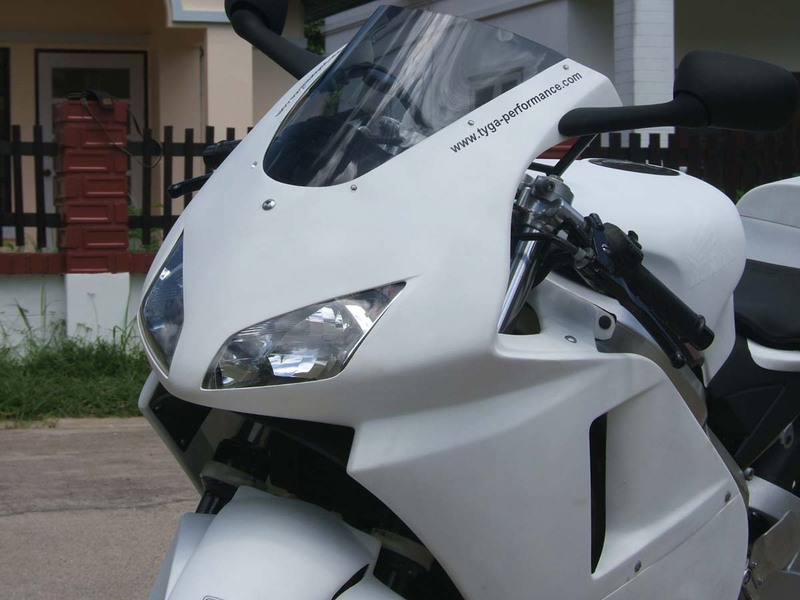 Other Tyga products shown on this bike include the silencer which as been mated to a custom built section of stainless steel exhaust pipe to allow fitment of the spring mounts. 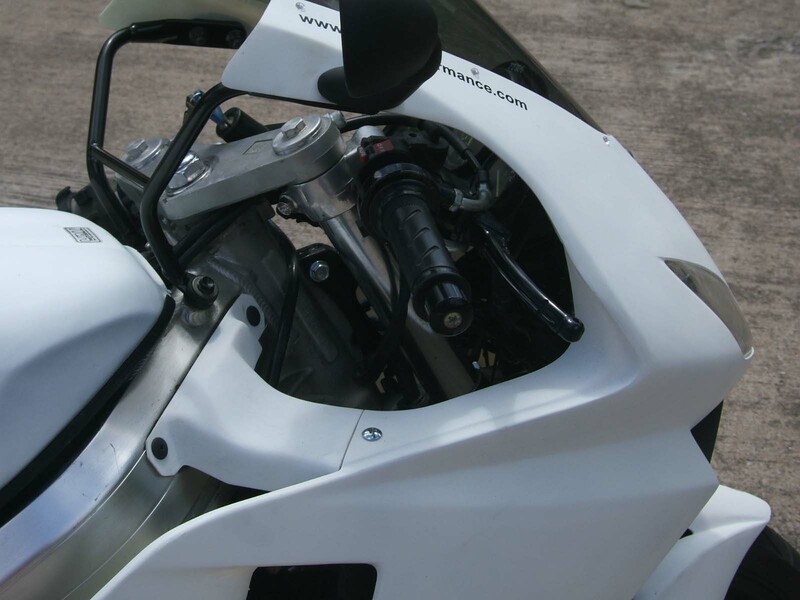 The HRC rear brake reservoir kit is supplied in the seat cowling kit. Also fitted are TYGA CNC levers, TYGA brake rotors and carbon instrument surround, tank cap cover and carbon front brake reservoir. 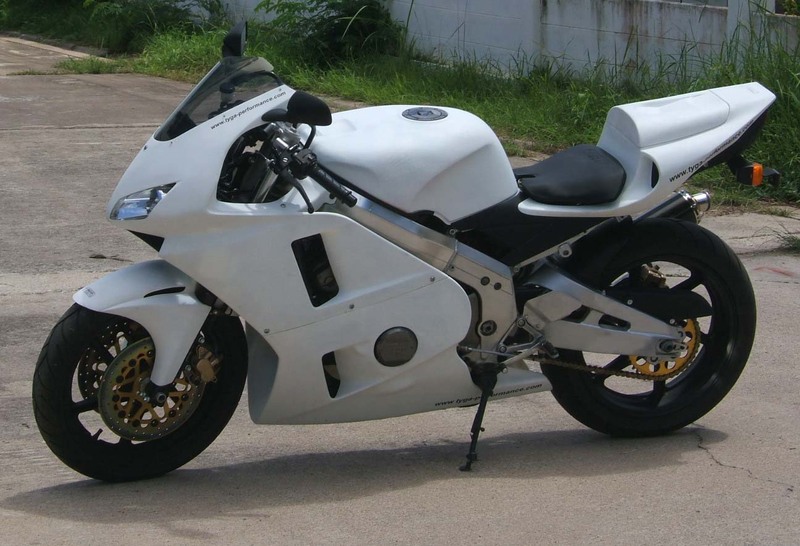 Normally, the NC23 has 3 spoke wheels with the rear being an 18 inch. 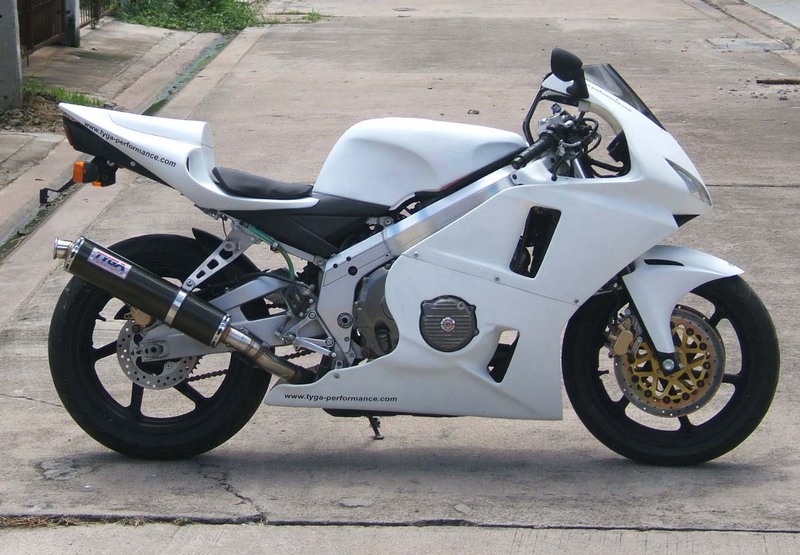 Our bike we chose to put NC29 wheels on and the rear being a 17 inch, has a high profile cut slick to get the ride height back. 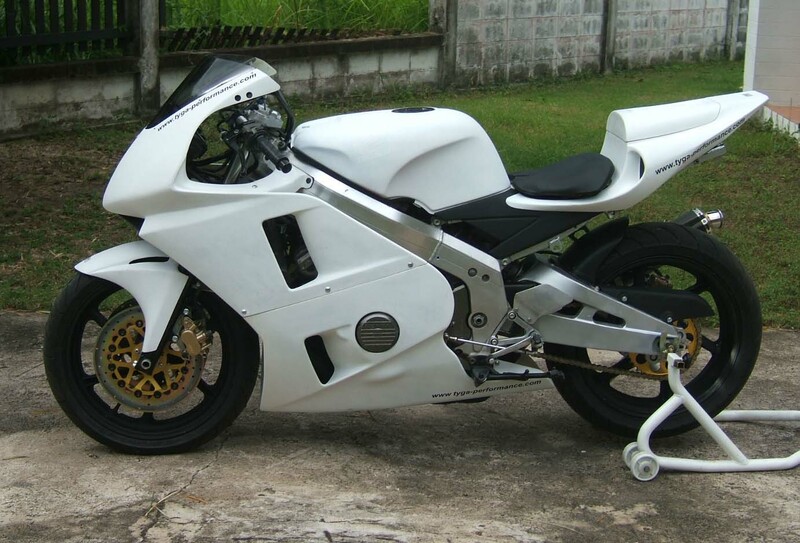 We hope to make a full project bike complete with some more goodies and interesting paint job. 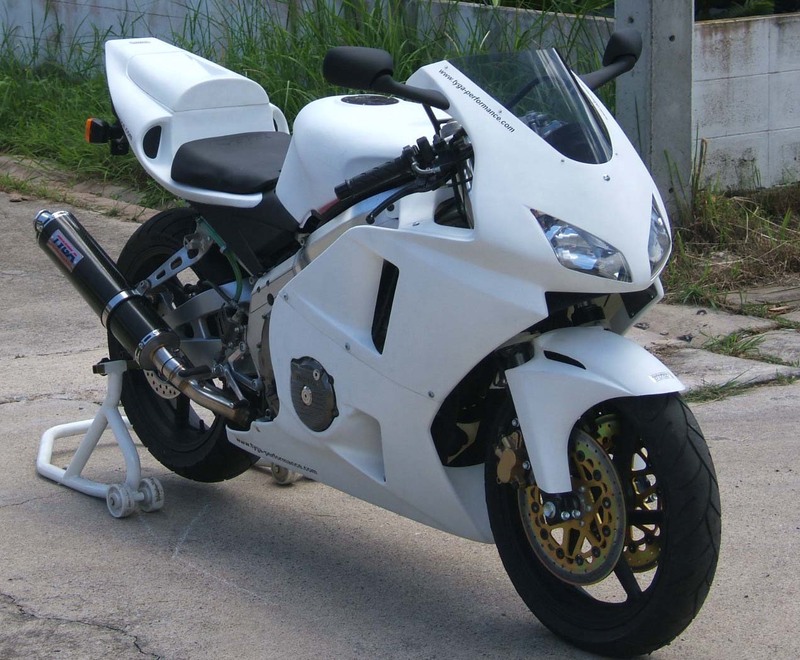 For now, we are using the bike to show case the bodywork only.